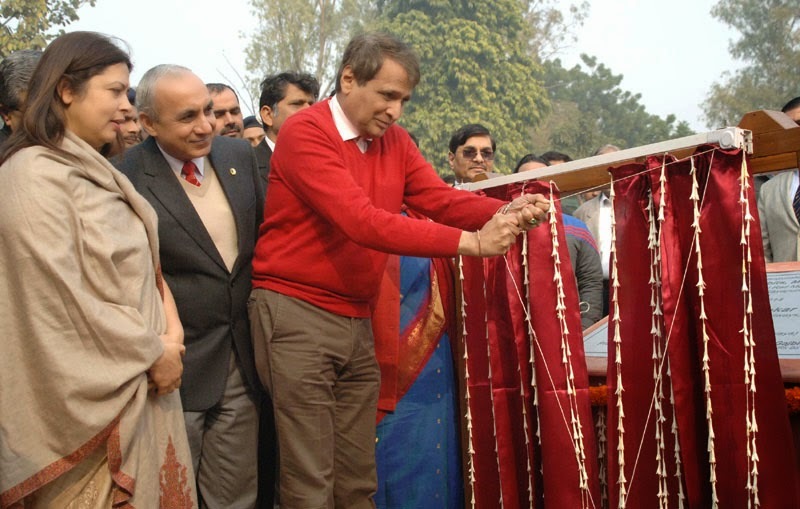 The renovated National Rail Museum was inaugurated and dedicated to the Nation by the Minister of Railways Shri Suresh Prabhakar Prabhu in the august presence of the Minister of State for Railways Shri Manoj Sinha. On this occasion National Rail Museum website, E-Book and a Mobile App were also launched,apart from this smart card system for museum ticketing has also been launched. Modernity and Museum appear anachronistic but this has precisely been the goal of a comprehensive renovation programme undertaken by National Rail Museum with contributions from RITES, IRCON, CONCOR and the other PSUS under Ministry of Railways . A rich experience which shall kindle the quest for knowledge in younger generations and enthrall everyone has been the objective of the renovation. As a part of renovation, about 75 major exhibits have been restored to their original glory. A new Toy train which is at par of international standards has been added. A beautiful Musical fountain now adorns the heart of the museum, near the museum junction. Signages have been improved to give an international visitor experience. Latest acquisition has been the simulators including train simulators, Diesel loco, Steam Loco and coach simulators. These will be open to public for ride & feel the actual train running experience by themselves. The coach simulator will give an insight of the development by Railways over 162 years & contribution towards Nations progress using state of the art 3D virtual reality. A Miniature train (1:87) Ho scale model layout is depicting the complete old & new townships, with various modes of transport – road, rail, metro train and even air. Modern transportation concepts like tube rails, etc. are on display. Visitors would even find a cricket match in progress in Wankhede Stadium in this Cricket crazy Nation. Apart from these, the renovated indoor gallery will be taking the visitors to a memorable journey from early transportation era to the latest and even to the futuristic designs. All these have been displayed through miniature models, brief description and using the latest touch screen displays and designed suiting to all age groups. Quiz sections will be of interest to the children and enthusiasts. Arrival of each visitor will be there on the special edition of National Rail Museum times to give a highly personalized experience. Every Visitor can take home a copy of NRM times showing him in the news. Upgraded toilets with RO system, easily available dustbins, mechanized cleaning systems have been introduced in NRM to showcase “Swacch Bharat Abhiyaan” launched by Hon’ble Prime Minister. A major change to lawns of NRM is the “Rail Garden”- a garden scale (1:22.5) model layout is depicting the train running in different terrains across the country, passing through various historic stations- Delhi Junction, Guna, Charbagh, CSTM & Madras Central. Ropeways, funicular and mountain trains are other added attractions. An outdoor experience par excellence which will leave haunting memories in the minds of all visitors. A new restaurant with a replica of Central Dome portion of World Heritage Building of Chattrapati Shivaji Terminus(CSTM) with its unique food serving train will make NRM experience one of the best . Visitors will be able to enjoy snacks in the garden restaurant while playing chess, ludo etc. on the specially designed tables. National Rail Museum occupies an important place in the Rail Museums of the World with its vast collection featuring exhibits from the dawn of Railways to the modern times. NRM was dedicated to the nation on 1st February, 1977. It was earlier called “Rail Transport Museum” till 1995. Spread over 11 acres, the museum has an extensive collection of rail exhibits that comprise of more than 90 vintage Steam, Diesel & Electric locomotives, Royal Saloons, Cranes and Wagons. 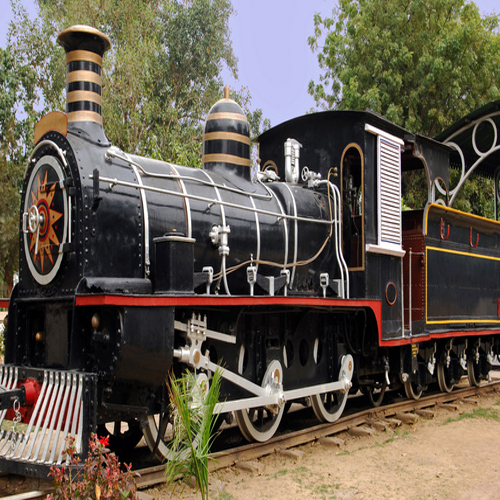 World’s oldest working steam locomotive “Fairy Queen” that features in Guinness Book of World Records, the 111 years old world’s first steam mono rail that belonged to the Maharaja of Patiala and the fully roadworthy 102 year old unique Morris fire engine that used to serve the Nizam of Hyderabad have place of pride in the priceless collection, alongwith scores of other rare jewels. Featuring high on the tourist itinerary of Delhi, the museum registered a footfall of almost 4.00 lakh in the year 2015 (Jan-Dec). India’s largest working Railway model layout. Depicts different kinds of landscape models of 1:87 scale. Motion platform Steam, Diesel & Coach Simulators have been installed & commissioned for the public. A unique collection of train models, interactive games, cutting edge communications and divided into six sections to cover all major aspect of Railways. 1:22 scale trains running in different terrains across the country passing through various scaled down historical stations like Delhi junctions, Guna, Charbagh, Bombay VT etc. Ropeways, funicular and mountain trains are added attractions. Introduction of 1:8 scale toy train chugging on miniature track of about half a km length. This is first of its kind in India. Housed in replica of Central Dome portion of the World Heritage Building of CSTM. Food will be served by the train only.